Having started out at the luxury LVMH label Berluti, Alessandro Sartori then became the artistic director of Z Zegna, eventually leading him to become the artistic director of the whole of the Ermenegildo Zegna group. But way before that, Sartori was a child who would sketch for hours at a time in his garden. And this season, he took us there. 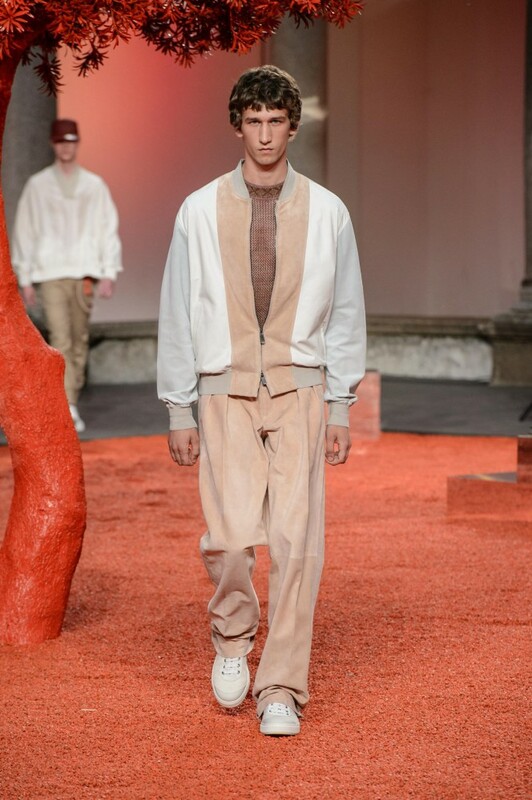 Held at the historic courtyards of Milan’s Università Statale, the show took on a futuristic garden setting, washed in tangerine. The collection itself drew from the idea of the outdoors meeting the indoors, with high quality fabrics – something Zegna is renowned for – used to create fluidity through the pieces, like a light breeze at work. The use of double layering scoop neck tees, colour blocking and tailoring knitwear kept this collection reigned in, relying on layering to create the silhouettes. Walnut, signature Vicuna, freesia, lotus, cypress and bleached aqua being the colour palette for this collection gave the garments a delicate weightlessness, a refreshing – and intimate – summer statement. 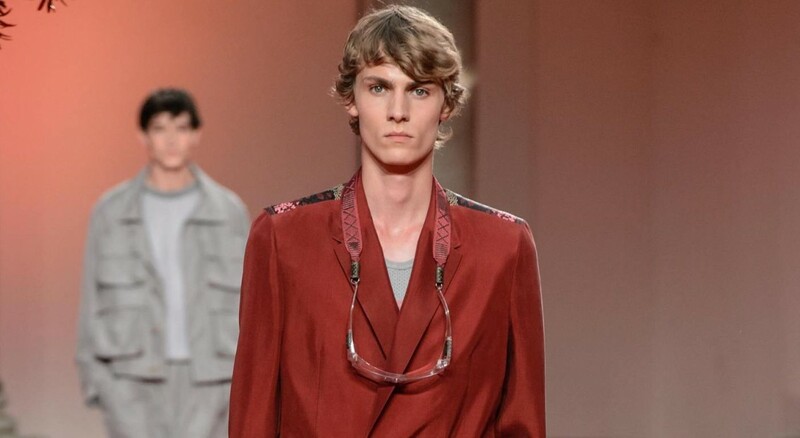 “To design a forward-looking men’s fashion wardrobe built around fluidity, freshness and colour but enriched by the possibility of adding your own hint of personality and style,” the designer explained of the collection in the show notes. That hint of personal style also has an immediate flavour this season: twelve of the looks are already now ready to order, made-to-measure from selected boutiques with handmade knotting, painting and embroidery individual and one of a kind to the buyer.